Tim Lewis, Skull, 2016. 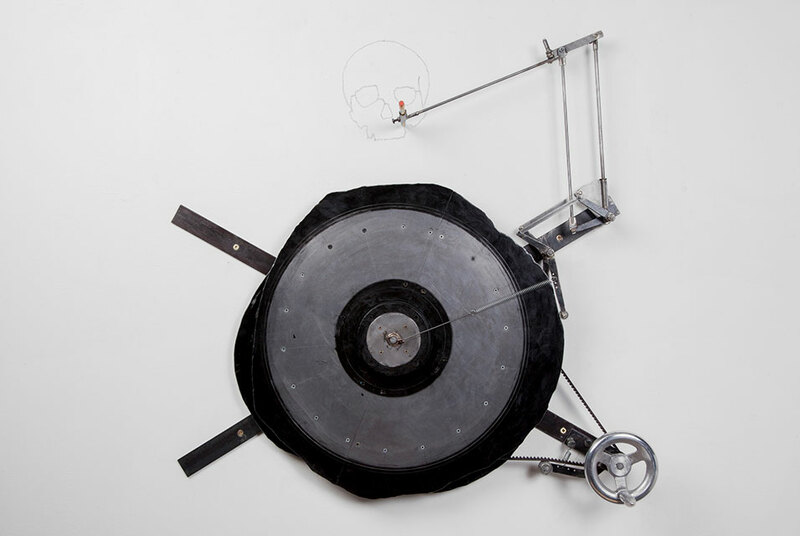 Steel and pencil, 69 x 75 x 15 cm, 27 1/8 x 29 1/2 x 5 7/8 in. SYDNEY.- Sydney Contemporary today announced over 70 Australian and International galleries participating in the fourth edition of Australasias premier art fair, to be presented at multi-arts precinct Carriageworks from Thursday 13 until Sunday 16 September 2018. Sydney Contemporary  Australasias largest and most diverse art fair  is now an annual event, in line with major international art fairs around the world, with the 2018 participating galleries list hailing from six continents and featuring artists from 32 countries. For the first time in 2018, Sydney Contemporary will welcome one of the worlds leading contemporary galleries, Pace Gallery, with bases in New York, Hong Kong, London, Beijing, Seoul, Palo Alto and Geneva, whilst Flowers Gallery of London and New York also debuts at the Fair in 2018. Returning galleries include Sydneys Roslyn Oxley9 Gallery, OLSEN and Sullivan+Strumpf; Melbournes Tolarno Galleries and ARC ONE Gallery; Aucklands Gow Langsford Gallery and STARKWHITE; Sundaram Tagore Gallery of Hong Kong, New York and Singapore; and Singapores Yavuz Gallery. Returning for its fourth edition, and now an annual event occurring every September, Sydney Contemporary 2018 presents galleries from Australia, Argentina, Japan, Hong Kong, New Zealand Singapore, South Africa United Kingdom, and the United States of America, spread across the entire footprint of Carriageworks in Sydneys Redfern. Sydney Contemporary 2018 expects to build upon the success of its previous three editions, which have collectively attracted more than 60,000 visitors and recorded more than AUD$40 million in art sales. Each individual presentation of Sydney Contemporary has represented the largest short-term concentration of art sales in Australia annually. Sydney Contemporary Fair Director, Barry Keldoulis said: For Sydney Contemporarys first year as an annual fair, were delighted to announce a strong line-up of galleries for 2018, with a truly international offering of artists from across the globe that includes some of the most exciting names in contemporary art today. Visitors will have access to a diverse range of works by established through to emerging artists, that will be showcased in museum-quality booths across seven large-scale exhibition spaces at Carriageworks. This will be complemented by dynamic program of curated talks, performances and events happening throughout the five-day Fair period, added Keldoulis. Sydney Contemporary was founded in 2013 by Tim Etchells of SME London Ltd. Etchells also founded Art Central HK and was co-founder of ART HK, now Art Basel Hong Kong. In 2018, leading art industry professionals invited to curate these exhibitions are: Artistic Director and CEO at Performance Space, Jeff Kahn together with Program Manager Tulleah Pearce for the show-stopping Performance Contemporary program; Kelly Gellatly, Director at the Ian Potter Museum of Art at the University of Melbourne will curate moving-image art for Video Contemporary and Installation Contemporary will be curated by independent curator and writer, Nina Miall. Deutsche Bank returns in 2018 as the Principal Partner for Sydney Contemporary. Bundeskunsthalle opens an exhibition on the subject of "Play"
First solo exhibition in a European museum by the Chinese artist Zhang Peili opens at S.M.A.K.